(Boston) Susan Sontag was a feminist journalist who wrote extensively on the topics that inspired her. She directed, produced and wrote for the stage. She was an atypical mother. She was unabashedly herself. She is/was not readily consumable for the masses (although very good, her writing is chewy and requires time for adequate digestion). It should come as no shocker that art dedicated to her life and artistic style is not either. 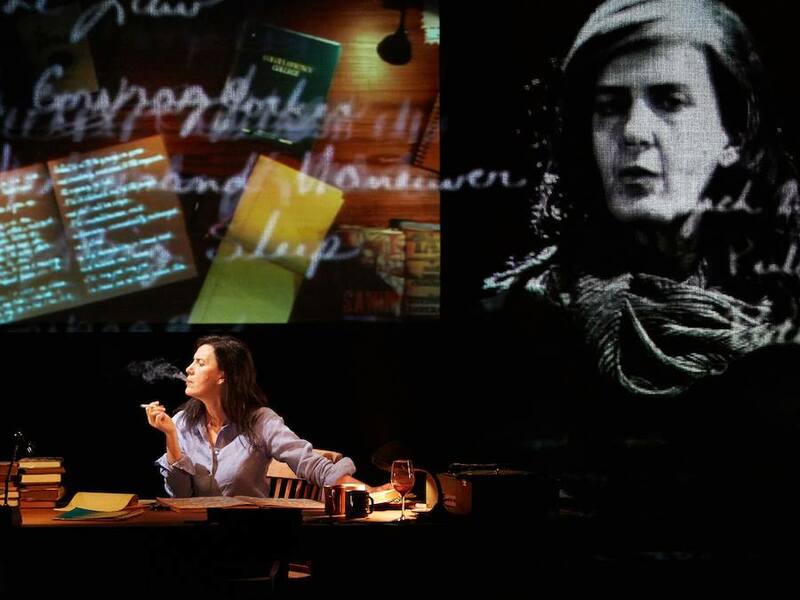 Sontag: Reborn is not a sweet show that idealizes Sontag’s life. It is a dramatic rendering of her thought process through stream of consciousness monologues and quotes from her works. Attendees should prepare themselves accordingly.